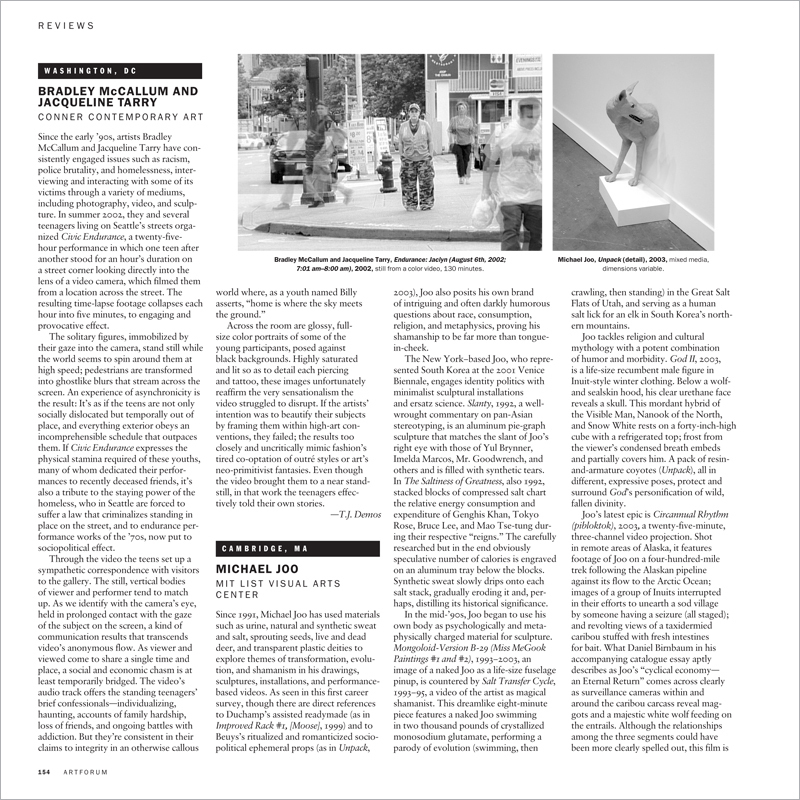 Since the early ’90s, artists Bradley McCallum and Jacqueline Tarry have consistently engaged issues such as racism, police brutality, and homelessness, interviewing and interacting with some of its victims through a variety of mediums, including photography, video, and sculpture. In summer 2002, they and several teenagers living on Seattle’s streets organized Civic Endurance, a twenty-five-hour performance in which one teen after another stood for an hour’s duration on a street corner looking directly into the lens of a video camera, which filmed them from a location across the street. The resulting time-lapse footage collapses each hour into five minutes, to engaging and provocative effect.